On one hand, Gonzales cared deeply about what her friends were consuming—and, naturally, her friends craved a thoughtful, handcrafted cocktail made by their favorite personal bartender. But was it really worth putting a pause on the evening? Was it worth cutting off a riveting conversation, stepping out of the present moment, or—God forbid—making a run to the market for a knob of fresh ginger? NEW RULE: WINTER MULE: Root Elixirs’ ginger soda mixed with ice, vodka, and a few holiday worthy accouterments are all you need to wow at your next holiday soiree. You can also get one made to order at the bar at Granada Hotel and Bistro in downtown SLO. “I felt like I was always at work during every get-together,” says Gonzales, owner of Root Elixirs and bar manager at Granada Hotel and Bistro in SLO. These “sodas with spirit” are more than your average “mixer.” If that dirty little word conjures up nightmarish visions of chemical laden goo and stomach turning margarita or sweet and sour mix, I’m with you there. Whether poured from the bottle in your own kitchen or enjoyed from the keg at Granada’s swank bar, these fresh, carbonated concoctions offer up all the herbs, syrups, botanicals, and fruit elements you’d expect from a fancy craft cocktail with little to no effort. It is a DIY craft cocktail revolution in the hands of the people! Here’s how it works. A kicky ginger beer cocktail requires nothing more than four ounces of Gonzales’ ginger flavored elixir, 1.5 ounces of whiskey or vodka, and a bundle of mint for added class. Use the grapefruit jalapeño flavor (my personal fave) with tequila or vodka and finish with a slice of jalapeño (so quick yet so impressive). A “strawberry lavender” cocktail might sound intimidating at first, but it’s not so hard to add a splash of strawberry lavender Root Elixir to a shot of vodka or gin (garnish with a sprig of lavender for added oomph). And the best part? These elixirs aren’t filled with mysterious words you can’t pronounce or creepy color dyes. Each batch is handcrafted with real, honest ingredients. Gonzales remembers long hours of experimentation starting out. Over the past three years, she’s pulverized a lot of plant matter and squeezed a lot of fruit. “It was nuts. I went down to the farmers’ market and would just try things out. The whole process of juicing ginger verses macerating or boiling it—it was gnarly,” Gonzales says, adding that the ginger beer flavor includes fresh lime juice, simple syrup, and cayenne peppers for added zing. She still hand peels and hand juices the ginger, which is nothing if not labor intensive. FRIENDS DON’T LET FRIENDS DRINK BLAH: Root Elixirs owner Dominique Gonzales was fed up with how intimidated her friends felt about creating their own craft creations. 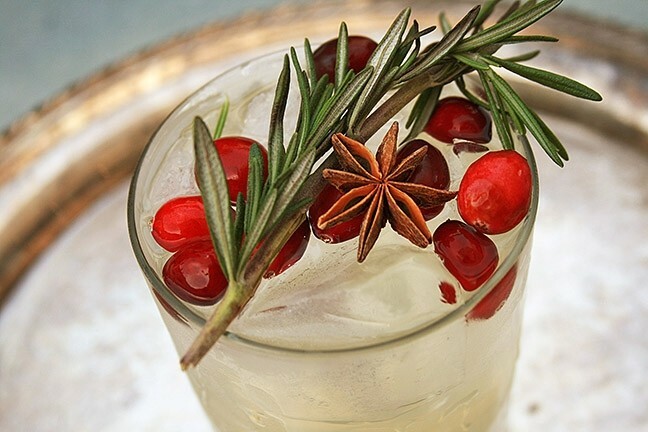 So, she made it super easy to DIY a sophisticated sip. “I wanted to make it as simple as possible for the customer, but also craft, which is extremely hard to find on the shelf. It took me at least two years to get the formula down,” she says. Dried herbs come from Monterey, and citrus comes from across the Golden State. Everything is carbonated for a reason: It adds a crisp brightness to the mix (she’ll tell you: adding soda water to syrups and juices after the fact can dilute overall flavor). Each bottle equals three cocktails, depending on how boozy you want to get, and you can now pick up growlers of each of Gonzales’ satisfying flavors at The Station SLO (perfect for larger parties). This year has been a satisfying milestone for the longtime bartender, who’s spent 10 years in the food and beverage industry. At the age of 21, Gonzales worked her way up from hostess to server to bartender and then took on bar manager positions. She even sold Prohibition-era cocktails at a Sacramento joint called Shady Lady Saloon. This was the mid 2000s, when Manhattans and Old Fashioneds and other oldies-but-goodies were finally making an epic comeback. 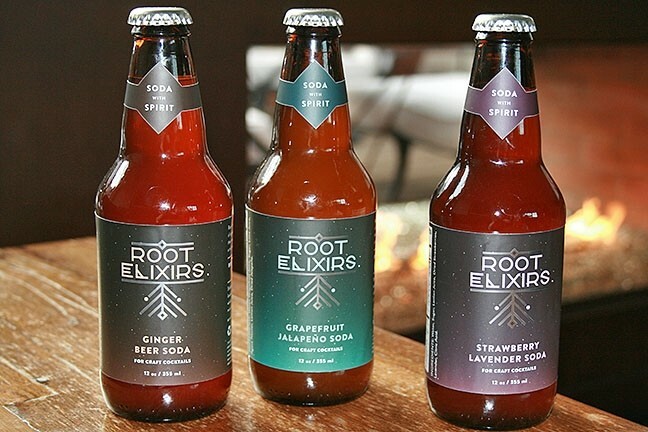 SODAS WITH SPIRIT: Take your pick: Root Elixirs’ ginger, strawberry lavender, or jalapeño grapefruit—then add spirits and ice for an easy cocktail that’s all craft, no compromises. It was also during that time that Gonzales realized there was a need out there that could only grow. People wanted something that tasted good and had quality and character, but they didn’t want to think too hard about it. Many years later, it’s all happening—and that’s a big deal for this humble CEO (cocktails and everything else officer). 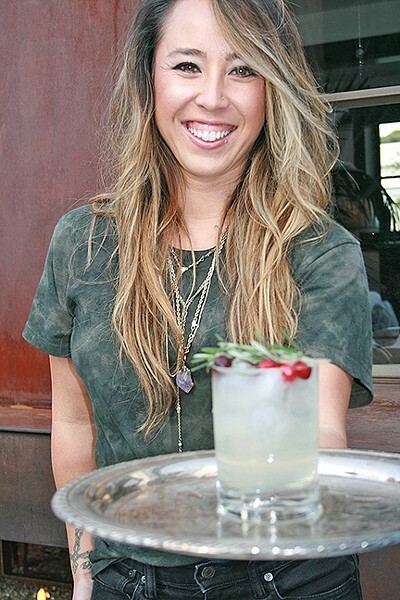 With any luck, she’ll bring better cocktails and brighter smiles to SLO and the world. Gonzales tells me that Root Elixirs recently donated part of its profits to a local nonprofit aimed at supporting eating disorder recovery. “My goal, one day, is to take the proceeds and be able to donate them to charity and to supporting women. That’s my little hippie dream,” Gonzales says. The other dream? Once the work of owning her own business calms down, she’d like to tend to her own garden again. MAGIC ELIXIR: Learn more about Root Elixirs on the business’s Facebook page or visit the website, rootelixirs.com. You can also email regarding orders at dominique@rootelixirs.com. I know you’ll get there. But careful, lady! First comes the garden. Next, comes all your friends knocking the door down for garden-fresh mojitos. Hayley Thomas Cain knows the power of fresh mint. She can be reached at hthomas@newtimesslo.com.